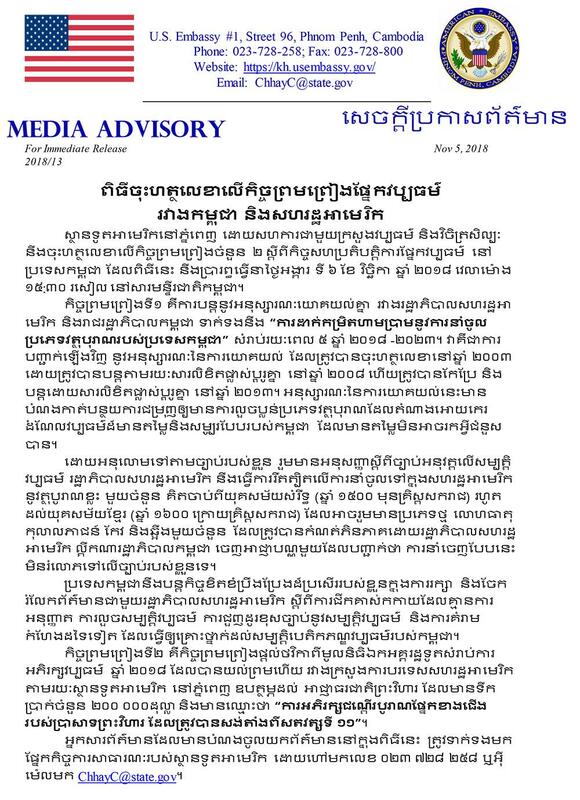 Phnom Penh (FN), Nov. 5 – The U.S. Embassy Phnom Penh, in collaboration with the Ministry of Culture and Fine Arts, will sign two agreements on cultural cooperation in Cambodia on Tuesday, November 6, 2018 at 15:30 p.m. at the National Museum of Cambodia, according to the U.S Embassy Phnom Penh’s Press Release dated on Monday. 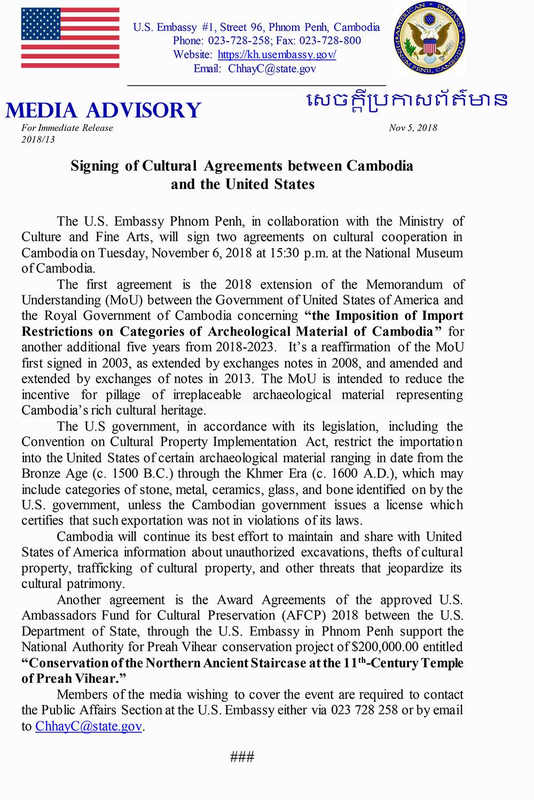 “The first agreement is the 2018 extension of the Memorandum of Understanding (MoU) between the Government of United States of America and the Royal Government of Cambodia concerning “the Imposition of Import Restrictions on Categories of Archeological Material of Cambodia” for another additional five years from 2018-2023,” the press release said. “Another agreement is the Award Agreements of the approved U.S. Ambassadors Fund for Cultural Preservation (AFCP) 2018 between the U.S. Department of State, through the U.S. Embassy in Phnom Penh support the National Authority for Preah Vihear conservation project of $200,000.00 entitled “Conservation of the Northern Ancient Staircase at the 11th-Century Temple of Preah Vihear,” it added.